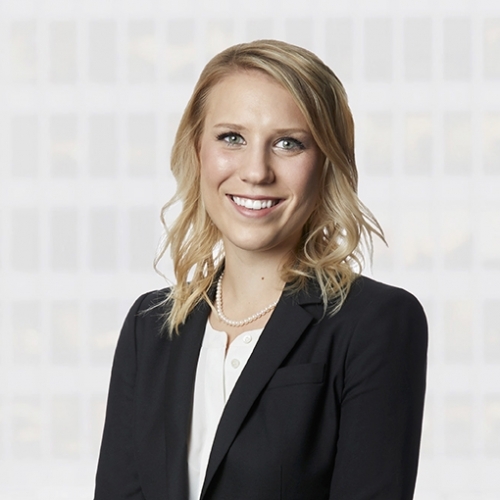 Emily Vereshchak articled with the firm before returning as an associate in 2018. Her practice in civil litigation primarily involves defending insurers in areas including motor vehicle negligence, product liability and occupiers’ liability. Emily completed law school at Lakehead University, where she obtained the Torts Award for highest achievement in the subject. She was also a co-president of the Lakehead Women in Law Club and gained valuable legal experience doing pro-bono work at Lakehead University’s Community Legal Services Clinic. Prior to law school, Emily obtained an Honours Bachelor of Arts with a specialization in Criminology at the University of Western Ontario.